The Aevolo development team hits its stride in its sophomore season with ambitions to graduate riders to the next level. 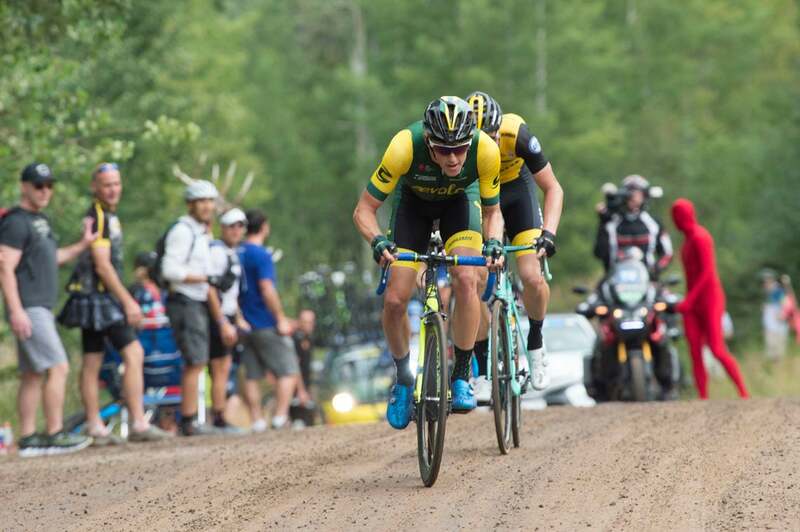 VAIL, Colorado (VN) — Gage Hecht’s stage 1 win at the Colorado Classic was a big moment for one of the newest teams on the U.S. domestic scene. The first UCI-level win for Aevolo Cycling, it was the culmination of a year and a half of development for Hecht and his teammates. It’s also the latest in a string of strong performances that serve as proof — both for the team’s riders and for fans — that Aevolo can deliver the goods when it counts. “Giving just that little bit extra and then proving that we are capable, that’s what our director is always talking about,” says Luis Villalobos, the revelation of last week’s Tour of Utah. 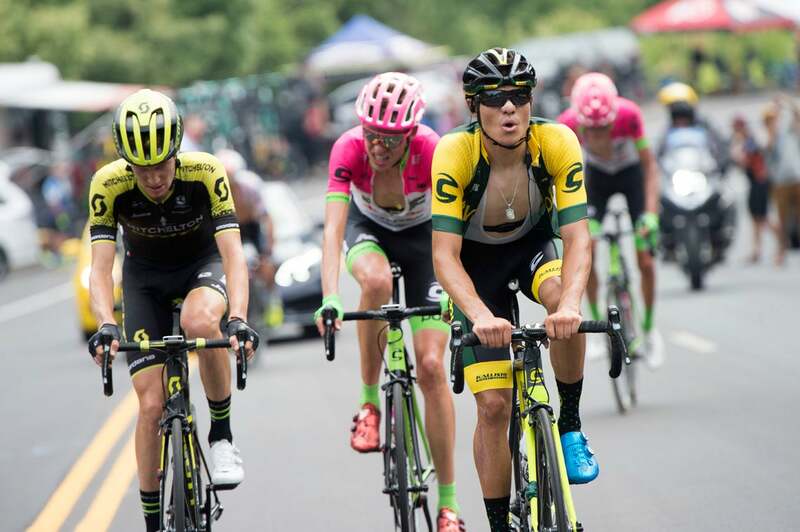 The 20-year-old Mexican claimed a national time trial title in June and then rode to eighth overall and a young rider’s jersey in Utah. Between Villalobos’s GC performance there and Hecht’s stage win in Colorado, it’s been an August worth celebrating for the emerging development squad run by former pro and former SmartStop director Mike Creed. Creed’s Continental outfit is not the best-known American development team. That honor goes to Hagens Berman Axeon, which now races one division higher as a Pro Continental team. Axel Merckx’s outfit tends to have the pick of the litter when signing up-and-coming talents. Axeon pays riders a salary, and can offer riders a chance at the Amgen Tour of California and other major races. Aevolo offers a stipend, equipment, and the team covers race expenses, but nobody is going to get rich riding for the Continental outfit in lower-tier races. Creed says trying to compete with Axeon for under-23 talent is a “zero-sum game.” He is sifting for rougher diamonds. “If they have the talent to be on a division two team when they’re 20, they don’t need me. Rally, Axeon, Holowesko provide amazing opportunities,” Creed says. He is hunting for riders who might have fallen through the cracks — but who are excited to have the chance to race even at the Continental level. That said, the team has certainly attracted promising young talents. Hecht, for instance, has been a fixture of under-23 racing across multiple disciplines for a few years and won the national U23 TT title this summer. Talented or no, it’s been a gradual start for Aevolo’s young lineup. The team received little fanfare in its inaugural season, and that continued into 2018 as the team rode a mostly quiet domestic campaign. There have been occasional top 10s in Pro Road Tour events and lower-ranked UCI races, but little to catch the attention of most fans. A big part of Creed’s job has been convincing his guys that they have what it takes even when that’s not obvious. He also puts his efforts into making sure his riders have the tactical sense to take advantage of the opportunities they do get. As a former pro who also brings the years of experience he accumulated directing more seasoned riders at SmartStop, Creed is qualified to teach Racing 101. He can’t do a whole lot to up his riders’ watts per kilo or their top-end sprinting ability, but he can pass on that knowledge to his stable of inexperienced talents. “If you go and learn race craft, when you get the power, then it’s easy. It’s no use having a V6 engine if you don’t know how to shift or how to take corners,” he says. With those building blocks in place, Creed’s hope was that patience would pay off as his young riders grew into their talents. It has. Invites to Utah and Colorado, the two biggest domestic races available to Continental teams, were a major score for Creed and his team this season. Aevolo did not attend either race in 2017. Creed acknowledges that the team was not convincing enough last year. This August, then, was the team’s big opportunity to prove it was one worth watching on the U.S. domestic scene. The Colorado Classic isn’t even over yet, but Creed and his stable of young talents have already done just that, with Hecht and Villalobos — who both turned 20 this year — leading the way. Their successes are confirmations that the gameplan works. The team has been aggressive the past two weeks and has raced smart. Hecht’s surprise win on Thursday, outfoxing the sprinters in Vail, was a result of that. The results Aevolo has snagged recently are sure to raise the team’s profile. Aevolo may not have received much press in its inaugural season, but the interest from fans and media alike has picked up this summer. Not that Creed is especially concerned about whether his guys are “flying under the radar” or not. If they weren’t before this summer, those teams are undoubtedly starting to look at Aevolo that way now. That’s a big accomplishment for Creed and Co. in the team’s second year. Considering the national TT title he earned earlier this year and his performance in Utah, it’s hardly a surprise that Villalobos told VeloNews he already has a deal in place to jump up to a new team next season. He wasn’t quite ready to announce where he’ll end up, but he did not hesitate to say that he hoped to continue getting advice from Creed just the same. Riders graduating from Aevolo to other development teams or to higher-ranked elite squads are critical to ensuring a development team’s future. Hagens Berman Axeon is proof of that; a major reason that team is so successful is its track record. Riders sign with Merckx’s squad knowing that the organization has developed numerous WorldTour talents already. If Aevolo can develop that same reputation, the team will have a bright future in store. Aevolo started in 2017 with a three-year plan. According to Creed, team owner Steven van der Zwan is happy with the way things have gone so far and interested, which bodes well for the coming seasons. “He’s always talking about five years from now, six years from now. It’s nothing official after 2019, but I’m very confident,” Creed says. It’s a tough environment out there for North American teams right now. UnitedHealthcare, Jelly Belly-Maxxis, and Silber are all without title sponsors for next season. Nothing is certain in the domestic racing scene these days — but if there is one thing Aevolo can do to stay in the game for the long-term, it’s putting in performances like the ones the team has delivered this August.